New students on our BArch (Hons) Architecture course recently undertook a design charrette during Welcome Week. In keeping with the tradition of a charrette, the challenge was not announced until the day of the competition. The idea behind a design charrette is to come up with a large amount of creative design thinking in a short space of time. 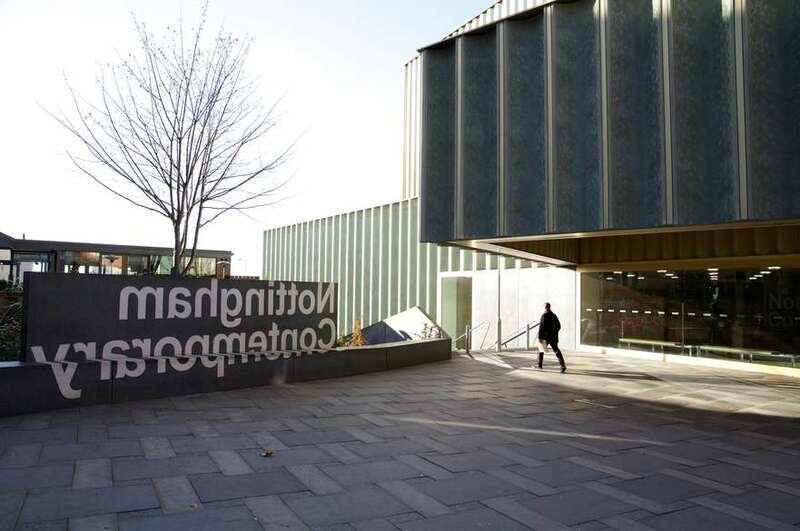 The students were asked to form groups, and challenged to design an intervention which would change the user experience of either the NTU Arkwright Quad, Trinity Square or Lace Market Square; three large public spaces in Nottingham. The groups were then asked to produce a video showing the proposed process, in addition to a physical model of their idea, and a poster detailing their final design. 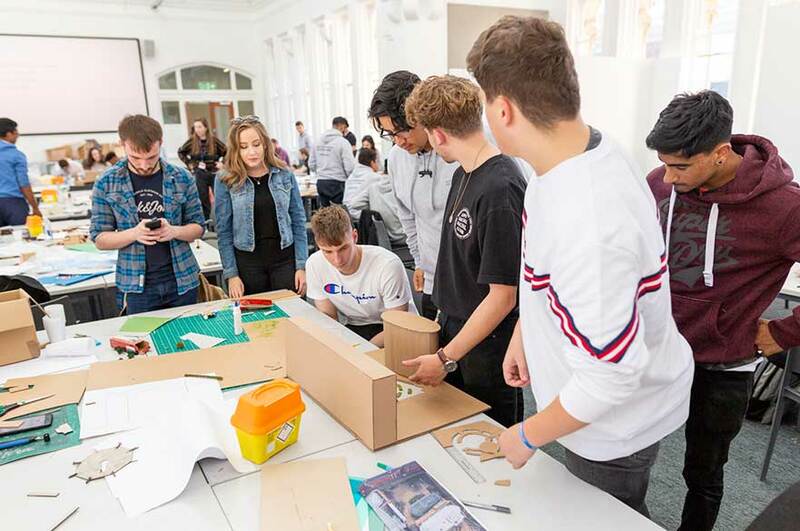 The competition was judged by James Badley and Natasha Rimmington from architects RG+P, NTU’s Head of Architecture Gavin Richards, and other lecturers from the department. The winning design chosen by RG+P was 'Quad Pods', a design intervention to be installed in the NTU Arkwright Quad, whilst the Architecture staff chose 'Trinity Green' as their winner, an intervention designed for Trinity Square. 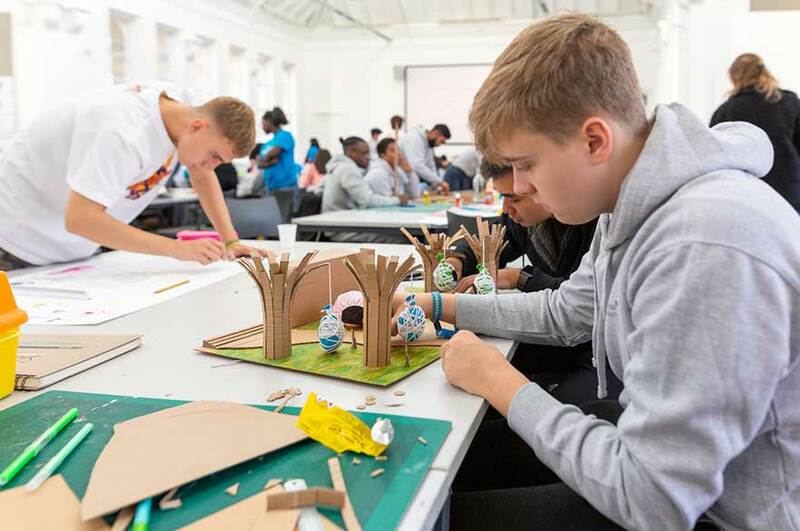 Holly Mills, lecturer on our Architecture course, told us: “The design charrette gave the students a taster of the course and helped them to explore the communication skills necessary to sell a design idea. It also enabled them to get to know their peers and the staff teaching on the course in their first week. We were impressed by the outcomes – every group developed an imaginative design and clearly enjoyed working on the project." 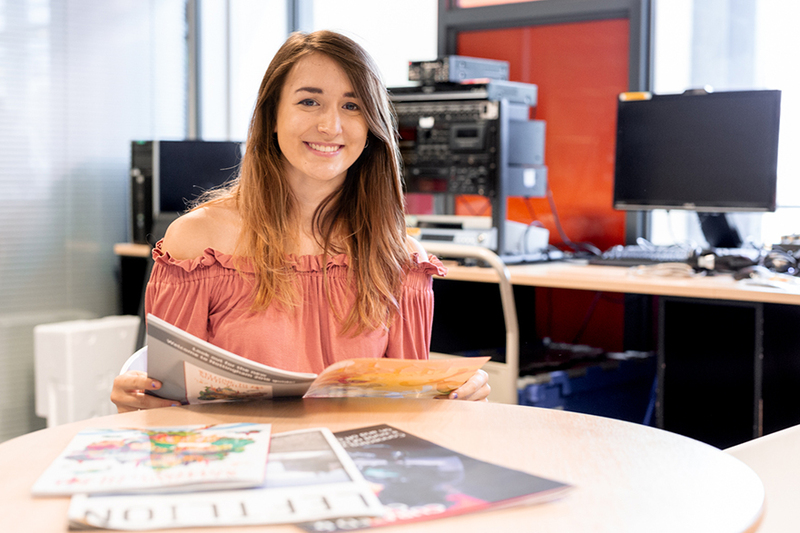 The winning team will benefit from a trip to the RG+P offices and sites later this term, giving them invaluable exposure to industry at a very early point in their studies.